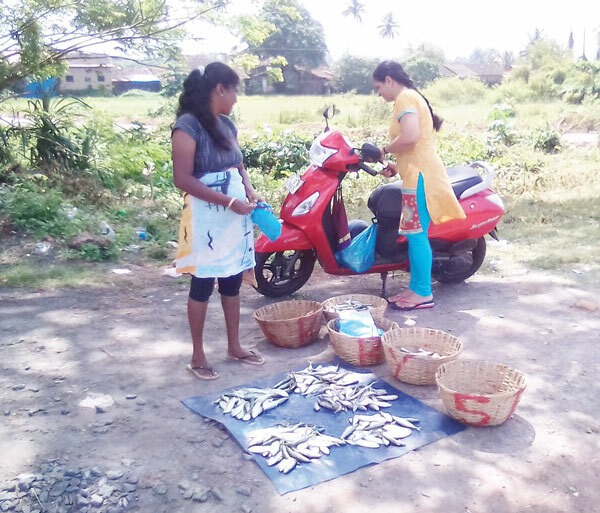 MARGAO: The formalin laced fish issue has had one good effect in making people appreciate the fish caught by ramponkars and demand for their fish has escalated as it is free from formalin. Demand for this fresh fish from ramponkars has resulted in lot of ramponkar family members sitting at various junctions selling fish. “Youngsters who used to merely loiter around are now seen selling fish all over the village and at various junctions,” pointed out former Colva Sarpanch Snowkon Gonsalves. The migrants who used to visit households with fish are not being favoured at present and many of them purchase only a portion of what they used to move around with earlier as mostly the senior citizens who cannot go to the market purchase fish from them. In fact some youngsters of the ramponkars family even go door to door to sell the fresh fish and they do brisk business as their fish is grabbed by the people. The formalin effect was not felt by the few restaurants operating at Colva as the visitors during monsoons are mostly Indian tourists who are primarily vegetarian or chicken eaters and not used to consuming fish. “We get budget tourists who find fish expensive as compared to chicken and generally opt for the cheaper dishes,” said Rohan Karekar of Hotel Colva Kinara.